Home / Gardening / Redoing our garden beds! 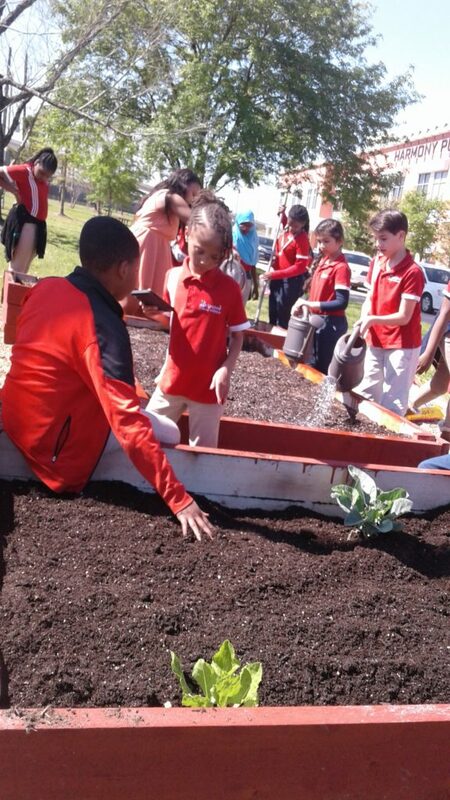 Spring is here and we are ready to plant at Harmony Science Academy! We planted pepper, snow peas, beets, garden beans, squash, swiss chard, and cucumbers seeds! We also planted Zinnia flower seeds in our flower bed. Mini Food show and challenge! Copyright © 2018 4-H Urban Outreach Programs, Texas A&M AgriLife Extension Service. All rights reserved. Created with by B-EZ Graphix.